It's a bit too bad that I didn't find these adorable little book earrings from DuDiDesign in time for my first day of work (today! 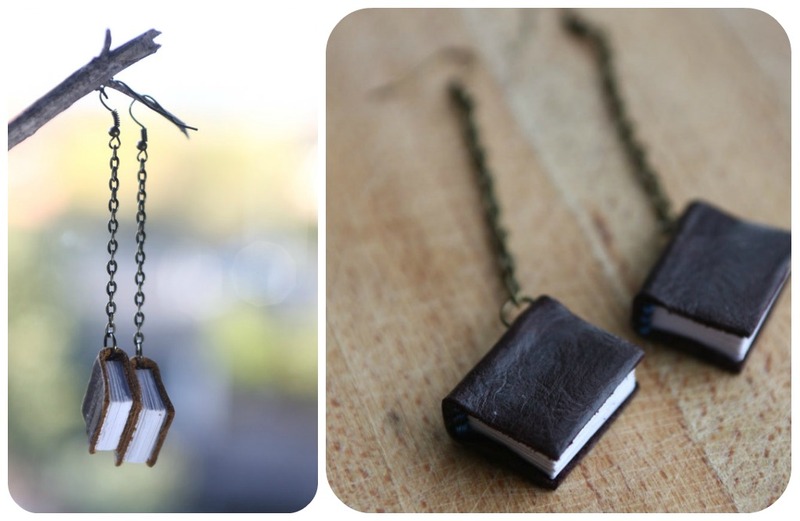 ), but they are definitely on the list of must-have librarian accessories. First day of work?! Congrats girl! I'm so proud of you!!! PS: How ave I not noticed that picture to the side before? Stunning!!! Oh my! I'm obsessed with these. First day of work? Very exciting, how'd it go? I'm an intern at WORN, I found your blog when I read your comment a while back!